It’s virtually impossible these days to read, listen to or watch a news program that doesn’t mention hydraulic fracturing, or fracking. Nearly every day, EcoWatch posts at least one article on fracking and last week was no different. Big news last week was the announcement by the U.S. Environmental Protection Agency (EPA) that it’s delaying from 2014 to 2016 the release of its study on the impact of fracking. In 2010, at the request of Congress, the U.S. EPA was mandated to conduct a study to better understand potential impacts of fracking on drinking water and groundwater. The scope of the research is to include the full lifespan of water in fracking. The delay of this report is significant because many local and state governments have placed a moratorium on fracking while waiting for guidance from the U.S. EPA on the impacts of oil and gas extraction. Communities in states where fracking is already taking place—including Ohio, Pennsylvania, Colorado, Wyoming and North Dakota—are greatly concerned by the delay as reports of water and air contamination, earthquakes and health problems, as well as issues with the disposal of toxic radioactive fracking wastewater, abound. Wyoming residents had a lot to say regarding the delay of the U.S. EPA report. On June 21, Pavillion-area landowners and environmental groups condemned Gov. Mead’s (R-WY) announcement that the state is assuming control from the U.S. EPA on the investigation into groundwater contamination by fracking-enabled oil and gas development near Pavillion. A TckTckTck article last week detailed how the oil and gas industry is demanding unprecedented amounts of water for hydraulic fracturing, even as severe drought impacts communities nationwide. Ceres reported on the pinch being felt by state regulators who are scrambling to keep the water flowing to the thirsty oil and gas industry, while not shortchanging farmers, municipalities and growing populations. Last week, clean water activists and representatives from Clean Water Action, Sierra Club, Delaware Riverkeeper Network and Berks Gas Truth gathered in the Pennsylvania State Capitol to call on Gov. Corbett (R-PA) to speak publicly on the extent of water contamination from fracking for natural gas in the state. Legislatively there was good news and bad news. The good news came out of Boulder, CO, where local residents rejoiced at the decision of the Boulder County Commission to enact a new moratorium on fracking for 18 months. The bad news came out of Illinois where Gov. Quinn signed into law a statewide fracking bill. According to the Southern Illinoisans Against Fracturing our Environment, the Illinois fracking bill—SB1715—was negotiated behind closed doors, and was not based on scientific study, but rather on what was politically possible, regardless of science. More than 3,000 New Yorkers rallied last week to send a message to Gov. Cuomo and state legislators to reject fracking and lead the nation in renewable energy. A game-changing report came out last week by Alberta, Canada-based environmental consultant Jessica Ernst who released the first comprehensive catalog and summary compendium of facts related to the contamination of North America’s groundwater sources resulting from the fracking. Food & Water Europe launched a new website to challenge the fossil fuel industry’s spin that shale gas can be safely extracted. 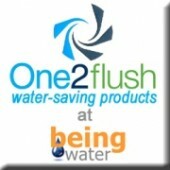 The website, NGSFacts.com, takes issue with industry’s denial of strong links between shale gas extraction and water contamination in the U.S.
As each day brings more fracking news, I hope more people are educating themselves on the impacts of fossil fuel extraction on human health and the environment, including climate change and the well-being of future generations. As 3,000+ New Yorkers put it so well last week, we are at a crossroads. Are we going to continue to pollute the planet with dirty fossil fuels, or are we going to once and for all support a sustainable energy future and embrace energy efficiency and renewable energy?